Hui O Ka Wai Ola, a volunteer-based water quality testing program, has expanded to South Maui and will be measuring ocean clarity and nutrients on South Maui’s shores, the group announced. The program, whose name means “Association of the Living Waters,” will test ocean water at a dozen locations every two weeks for six months, then every three weeks thereafter. The project will eventually expand to 24 locations. The project is a partnership with the council, The Nature Conservancy, West Maui Ridge to Reef Initiative and the University of Hawaii Maui College, working with the state Health Department. 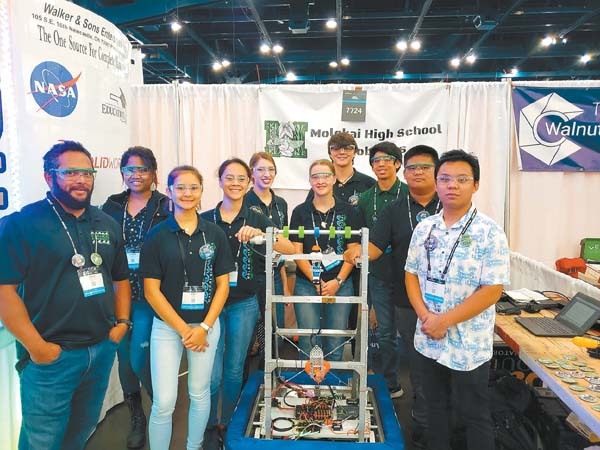 The program began in June 2016 in West Maui. The new testing site locations will be finalized in the next few weeks after they are evaluated for accessibility by the volunteers and other factors, according to a news release from the group. Sites under consideration include ‘Ahihi Kina’u Natural Area Reserve, Makena Beach State Park, Maluaka Beach, Oneuli (Black Sand Beach), Makena Landing, Kamaole Beach I and III, Kalama Park, Cove Park and Waipuilani Beach. Sofia de la Sota, the South Maui regional coordinator and team leader, said that more than 20 volunteers have signed up to work the sites. She said they have completed “intensive training” and will collect water samples according to strict Health Department standards. Samples will be tested for nutrients, such as nitrogen and phosphorous compounds, which can indicate pollution from wastewater and runoff from agriculture, landscaping and golf courses, according to the group. High nutrient content in the water can cause an increase in growth of invasive algae, which could damage coral reefs. Data will be used to supplement Health Department water quality monitoring on Maui and can be viewed on the group’s website, www.huiokawaiola.com. 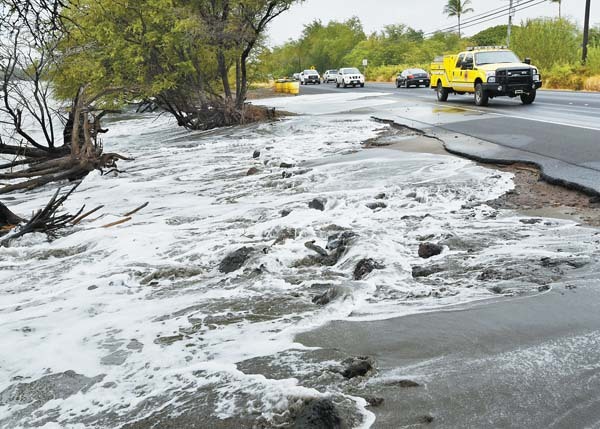 Currently, only one Health Department employee tests water quality for the entire island due to budget constraints, said Dana Reed, the West Maui regional coordinator for the program. She said that supplementing the department’s testing for enterococcus bacteria, a marker for potentially harmful bacteria in the water, with nutrient data will provide a better view of changing water quality conditions that can harm coral reefs and humans. Some of the potential sites are slated for shoreline development, such as at Maluaka Beach in Makena, de la Sota said. She added that Cove Park sits at the center of the “wastewater plume” coming from the Kihei Wastewater Reclamation Facility and has been flagged for high nutrient levels and turbidity. The group also hopes to allow for testing during brown-water events caused by runoff from heavy rains in the future. “If we see an issue with increased turbidity or pollution at these sites, we can sound an early warning to initiate measures to address the runoff and pollution as quickly as possible,” de la Sota said. The cost of testing each location is about $3,600 per year, which includes analysis and the shipping of nutrient samples to Oahu. Current funding allows testing of South Maui sites for 15 months. The National Fish and Wildlife Foundation provided funding for the laboratory and field equipment as well as initial startup costs, the group said. The Hawaiian Islands Humpback Whale National Marine Sanctuary is providing space for storing of the water testing equipment. The county Office of Economic Development and other community donors also have helped finance the program. 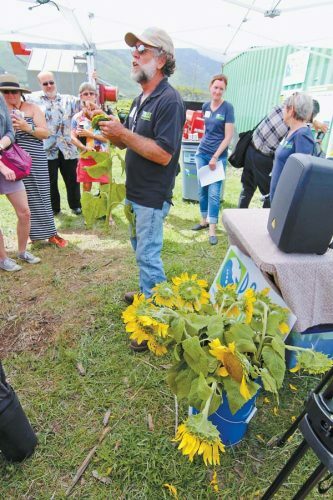 The program tested 18 sites in West Maui with funding by North Beach West Maui Benefit Fund. Testing at six remaining sites is funded by Napili Bay and Beach Foundation, as well as the National Fish and Wildlife Foundation. Newbold asked for continued public support for the testing, which helps ensure clean oceans, healthy reefs and thriving local fish populations. The Maui Nui Marine Resource Council is celebrating its 10th anniversary and is dedicated to restoring clean ocean water, healthy coral reefs and native fish to nearshore waters throughout the county. To learn more, visit mauireefs.org. The West Maui Ridge to Reef Initiative offers an all-encompassing approach across multiple agencies and organizations to address adverse impacts to coral reefs in West Maui. To learn more, visit westmauir2r.com.